On the western side of Bridgeport Harbor, the lighthouse is on the grounds of a power plant and cannot be visited. Tongue Point Lighthouse, originally called the Bridgeport Harbor Light, or Bridgeport Breakwater Lighthouse, was built on the end of a protective breakwater in Bridgeport's inner harbor in 1895. Tongue Point's first keeper, S. Adolphus McNeil did not have a keeper's quarters to stay by the lighthouse and therefore lived in town with his wife. He enjoyed the solitude with the lighthouse and constructed a little shanty structure on the breakwater near the light where he'd spend many nights during the summer season. In 1904, when Keeper McNeil died, his widow Flora took over duties at the lighthouse. She was a sea captain's daughter and expert boater, well suited for the position. As the lighthouse was easily accessible to walk to along the shore, Flora also maintained a successful manicure business downtown during the day while she tended the light mostly at night. In 1919, the shipping channel was widened, moving Tongue Point Light inward toward the shore about 275 feet. The lighthouse was automated in 1954. 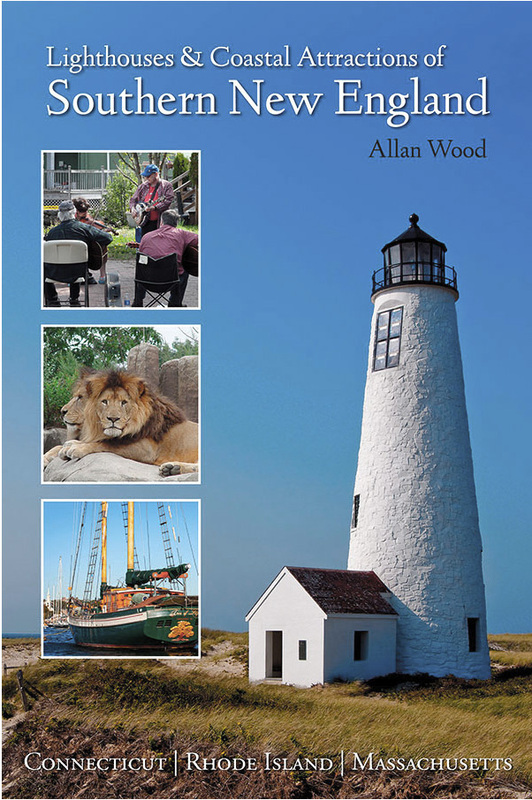 In 1967, the Coast Guard planned to remove the lighthouse but local boaters protested and the lighthouse still remains an active aid to navigation. The lighthouse is also referred to as Bug Light by the locals. The city of Bridgeport offers plenty of museums, music and entertainment for its residents and visitors to the area. To learn the history of the famous circus owner, PT Barnum, you can check out the Barnum Museum, in Bridgeport. Seaside Park offers a local beach with all the recreational amenities visitors and locals look for. Take the family or spend the day on your own at Connecticut’s Beardsley Zoo in Bridgeport. 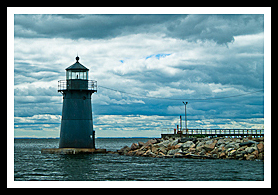 The Bridgeport – Port Jefferson Ferry gets close to the lighthouse for photographs. Note: The lighthouse is best viewed by boat. Today directions to the lighthouse by land can be tricky since the lighthouse is on the grounds of a power plant and cannot be visited. Basically to view from land, from US Route I-95 North take Exit 28 and go south on Main Street until it ends. Ferry passes by close enough to the lighthouse to get good views and photographs. It doesn't provide any lighthouse cruises.